Chinese held US federal debt has reached a record $1.3 trillion. In May 2013 China bought $25.2 billion in US Treasury notes and bonds, according to Xinhua News Agency. “US bonds remain one of the most attractive financial instruments in terms of safety. Recovery of the US economy strengthens the dollar, which is also a positive factor,” Chinese experts are quoted by the Chinese News Agency. China’s economy has been developing rapidly in recent years, with its strong export business which resulted in large trade surpluses. In September 2008 China became the biggest foreign creditor of the United States, surpassing Japan. Purchase of American dollars and Treasury bonds then allowed Beijing to avoid the appreciation of the Yuan and to support Chinese exporters. 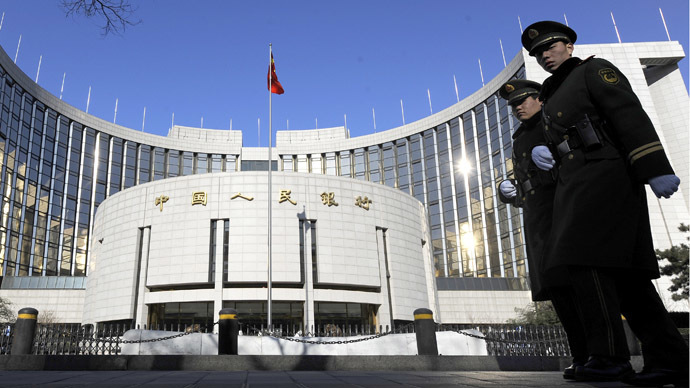 "In fact, China has been a large and stable source of demand for US Treasuries, which has contributed to its low and stable yields in the past years," Guo Feng, a senior economist with Washington-based Institute of International Finance, told China’s People’s Daily. "Given the recovery in the US and sluggish economic growth in Europe, I expect China to continue to buy US Treasuries in the coming months," he also added. The Federal Reserve is the largest holder of Treasury debt, holding over $1,870 trillion at the end of May 2013. China's foreign reserves hit a record $3,500 trillion at the end of June, mostly in dollars. This year’s economy slowdown in China has slightly tempered the pace of dollar reserve accumulation.